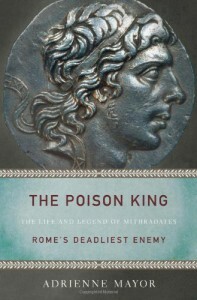 When Adrienne Mayor remains within the limits of her sources (both literary and archaeological), The Poison King is a solid, readable biography of a now little-known figure of the Ancient world. Unfortunately, she allows herself some wild flights of fancy better suited for a historical novel and neglects any serious analysis of the reign of Mithradates VI of Pontus, the last serious foe of Roman hegemony in what would become the eastern half of the empire. 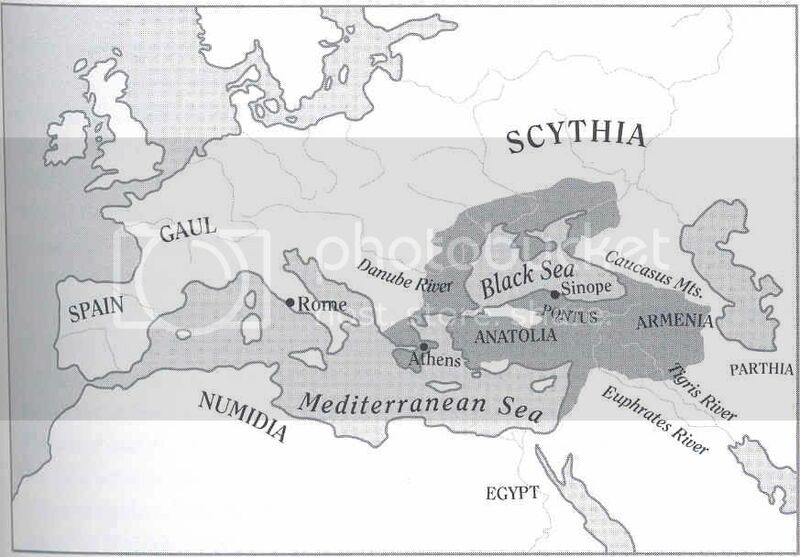 And it is a fascinating story without need for embellishments: In 88 BC, Mithradates directly controlled or dominated much of what would become provinces of the Roman Empire except for Egypt, and could even claim to have overawed the Scythians and Sarmatians – horse nomads who had cowed both Cyrus of Persia and Alexander of Macedon. By contrast, the late Roman Republic was a failed state. Its constitution – admired throughout the civilized world – had fallen prey to the private interests of men like Marius and Sulla and a host of lesser satellites like Pompey and Lucullus, causing endemic civil war. Roman tax collectors and financiers plundered the East, and its populations were restive under Rome’s yoke. In Spain, Sertorius would soon be raising a revolt; in Africa, Marius and Sulla had recently put down Jugurtha; and in Italy, the Social War had finally been brought to a close. There appeared to be no better time for a successor to Alexander to overthrow the Roman tyrants. 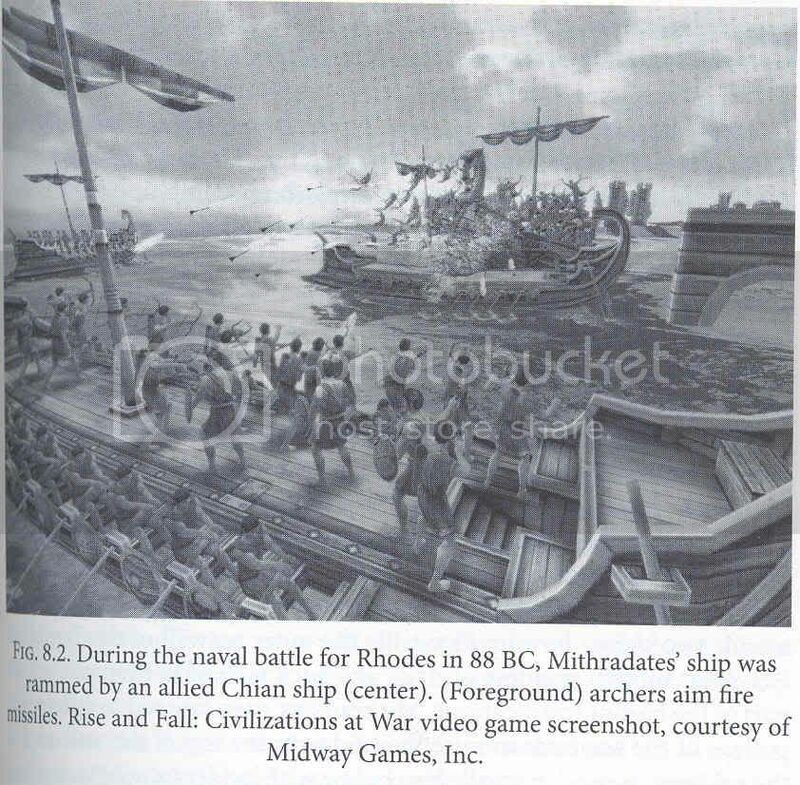 Mithradates was that man, if anyone was. He was born around 134 BC to parents who could trace their lines back to Cyrus and Alexander. Around 120 BC, Mithradates’ mother poisoned his father (her husband) and assumed a regency for both him and his younger (favored) brother (helpfully named Mithradates as well). Sometime before 113, Mithradates removed his mother and her favorite and assumed full control over Pontus. In the mid-90s, he became involved in a war with Nicomedes of Bithynia, in which Rome interfered (on Nicomedes’ behalf) and which thoroughly and permanently soured relations between Pontus and Rome. By 88, the energetic Pontine king had forged a kingdom and alliances that threatened Rome’s stranglehold over the East and he felt confident enough to take on the Republic. True to form, it was Roman rapacity that provided a proximate cause to justify the First Mithradatic War. Manius Aquillius led an illegal (i.e., unsanctioned by the Senate) invasion of Pontus, which was routed, in 89. The next year, between 80,000 and 150,000 Roman and Italian citizens and colonists were ruthlessly massacred – men, women, children – and Mithradates’ armies launched an invasion of Greece. It was a near thing for Rome – Sulla’s and Lucullus’ legions escaped defeat by the narrowest of margins and a certain amount of luck. And for the next twenty-plus years, until Mithradates’ death in 63, he and Rome were locked in a near-continuous struggle for control of the East. As I mentioned, when Mayor sticks to sources she presents a readable account of this interesting period and man. The only caveat I would apply is that readers do need a fairly good knowledge of the period to follow what’s going on. There are a lot of names and events that are introduced with the assumption that you know who and what she’s talking about. It’s not a fatal flaw but it could limit a reader’s enjoyment and understanding. And I was disappointed that she didn’t explore the reasons behind Mithradates’ failure to establish a viable state in answer to Roman expansion. He had the intelligence, the energy and the resources to do so. Instead she indulges fanciful flights of imagining what Mithradates was thinking on the night he escaped his mother’s (possibly) murderous intentions. It’s not as if she isn’t capable of intelligent and meaningful speculation. Using the literature and examining the geography of the Caucasus, Mayor comes to a solid and reasonable itinerary for Mithradates’ flight to the Crimea after Pompey had surprised and defeated his army in eastern Anatolia. At first the old-school curmudgeon in me felt irked but upon reflection I don’t see why this is any different from using a Renaissance scene that’s as close to the reality as the computer image. The computer image probably has fewer anachronisms as we live in an era that likes verisimilitude.